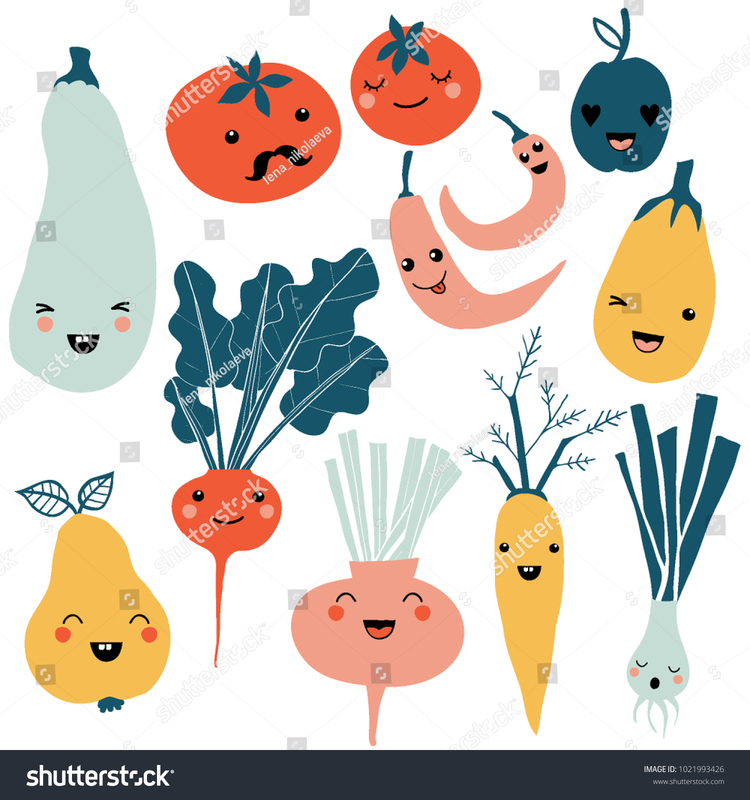 Cute cartoon smiley fruit and vegetable characters. Flat icons set: pepper, carrot, tomato, pear, onion. Colorful design for cards, banners, printed materials. Cute doodle style emoticons.